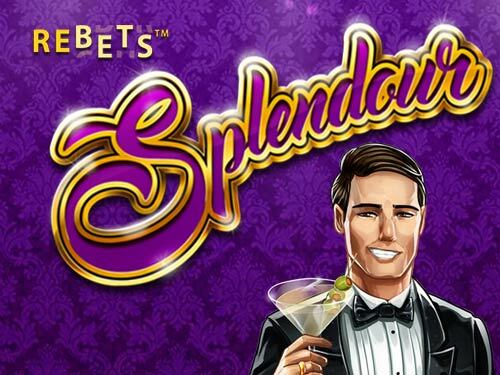 Rebets Splendour is a game about living the high life, it truly is a look into the lifestyles of the rich and famous. This game also comes with some entertaining payline symbols. Getting away from the standard private jets, fast cars, and lobsters that you’d expect to see in this game, there’s also a dandy gentleman in a tux, whose face looks remarkably like it was chiselled from the bark of a tree. 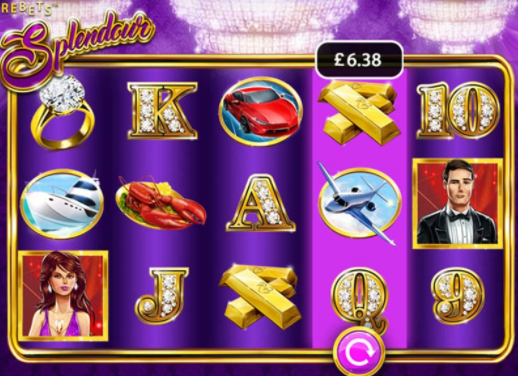 Nevertheless, this is one of those wonderful slot games and you should definitely have a spin. Come play onlines slots and enjoy this opportunity to win with free spins! Brisbane Australia’s own signature online slot games developer Eyecon is known not only for its deep-rooted passion for creating unforgettable slots experiences, but also ways in which to also push themselves forward within an industry that has thousands upon thousands of titles. No longer will you be turned away from fancy restaurants on account of your lack of poshness. Rebets Splendour is here to give you a taste at the finer things of life. This 5 reel 25 pay-line game from Eyecon has given the every-day man a new way to live, this time in a much more extravagant setting. The aesthetics of this game are all as you'd expect from a game with the name Rebets Splendour. Many will think this game is French, but these people are now beneath you because you now play one of the best UK online slots and with it comes a level of etiquette! Purple and gold fill the screen with a lot of colour and life. Font styles and trim top this game off as a definite classy affair. Symbols include diamond rings, in-flight jets and bricks of solid gold (all things you can afford once getting some high-end pay-outs). The best of these symbols is the red sports car and should be matched at all costs if you hope to reach the upper echelons of players – land 2, 3, 4 or 5 of these for a payout of 2, 30, 300 or 2,000 coins respectfully. The wild in this game takes the form of the rather sleek looking lady with the diamond earrings. Whenever she is part of a winning combination, the payout is 3x your original bet. The rather dapper looking character in the suit is not James Bond but instead, this game's scatter which will throw the board into a frenzy allowing for many different winning combinations. Players can plat from as little as 25p to £12.50 per spin on all devices — meaning you can play both on and off your private jet. Free games are also available in this game and can be unlocked via 3 or more scatters being matched in a row. These free games will give the player the chance to increase their individual bet of 5, 15 or 300 times your stake, you’ll also receive 15, 20 or 25 free spins for each free game won. This game is a lot of fun and is definitely worth your time if you are looking for something flashy as well as exciting. To live a fast lifestyle you have to start from the bottom. This online slot could be the catalyst in making you, the player an entrepreneur. You only need to play. Now try the most popular game of all, Starburst.